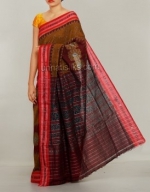 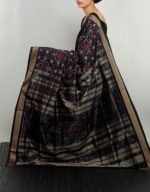 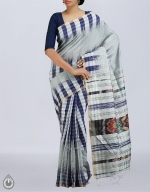 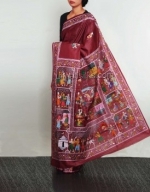 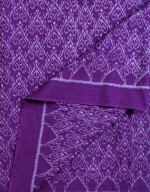 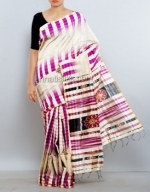 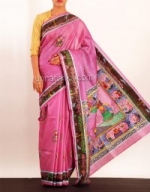 Purple color Sambalpuri handloom charka pure silk saree without blouse.This pure silk sari has got all over grey ikkat tie&dye along with multicolor ikkat tie&dye temple style border and cream thread woven green border on either side.And it has maroon, yellow animal ikkat tie&dye elegant designer pallu.It is apt for party and traditional wear. 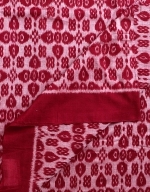 Craft Type: Ikkat Tie & Dye. 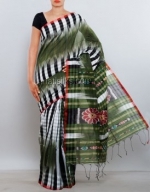 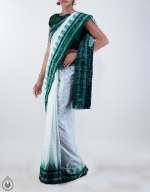 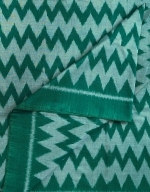 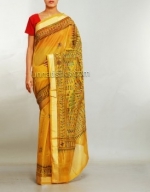 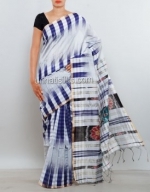 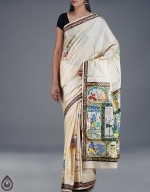 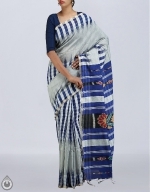 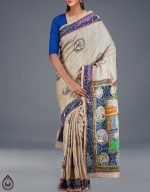 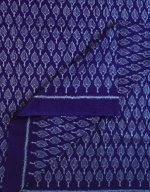 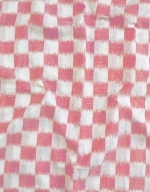 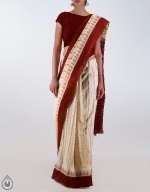 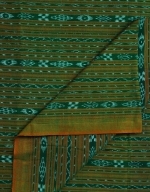 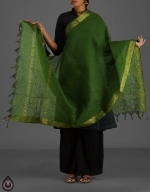 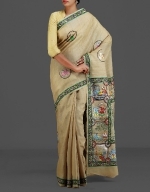 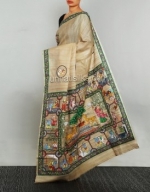 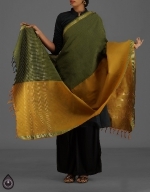 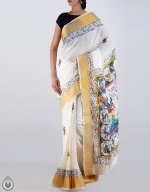 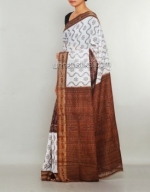 Fabric: 100% Pure Handloom Silk. 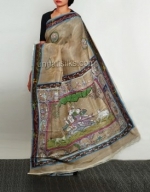 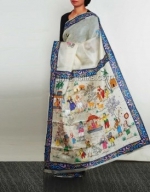 Measurement: 5.4 MTR (Without Blouse).